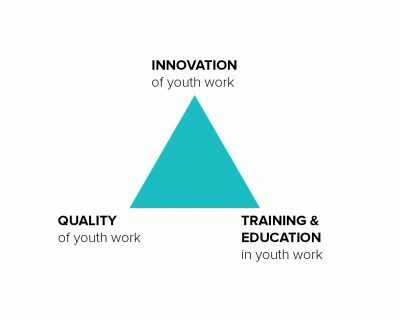 The European Academy on Youth Work is a new initiative jointly organised by the National Agencies for Erasmus+, youth field, of Austria, Belgium (FL), Finland, Germany, Italy, Lithuania and Slovenia, SALTO-YOUTH Resource Centres and the Youth Partnership between the European Union and the Council of Europe. 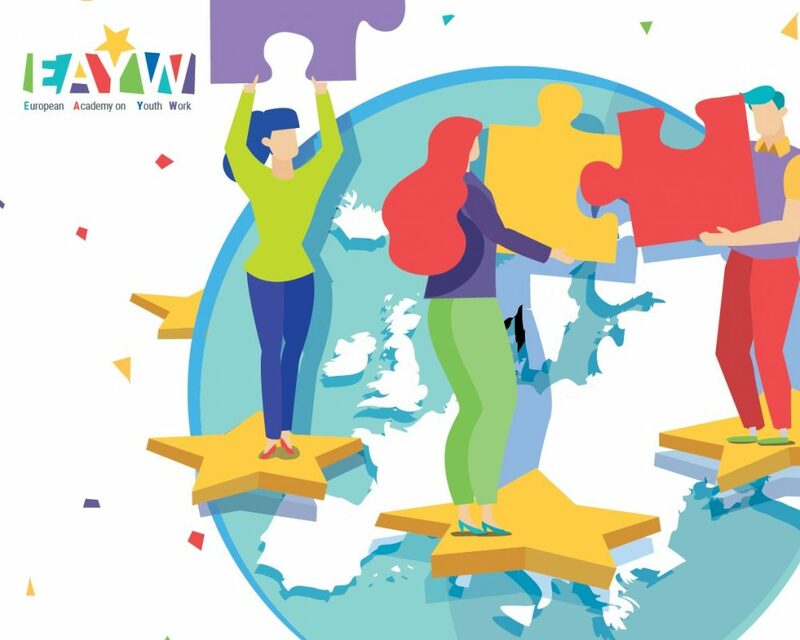 In a longer-term perspective, the management of the EAYW consists of: a) a Consortium which includes all interested parties committed to aims and objectives of EAYW; b) a Steering Group of 5-6 consortium members which coordinates and monitors processes and guarantees the relevance of the EAYW; c) a Coordinator who is responsible for daily management and running of the EAYW; d) a Preparatory and Implementation Group which invites moderators, reporters, technical support persons, and staff from National Agencies to manage the preparation and the implementation for each single edition of the EAYW. In terms of organisation and budget, the EAYW takes place biannually and has a four-day duration (including arrival and departure) involving approximately 120-150 participants. The costs are mainly covered by the TCA budget of the Erasmus+ programme, provided by participating National Agencies and a contribution of the EU-CoE youth partnership.